In 1868, Jean Moura took up the post of Administrator of the French protectorate of Cambodia, established the previous year by invitation of the country's rulers who wanted freedom from Thai control. Apart from a short break in 1870, Moura stayed in his post at Phnom Penh until 1879. 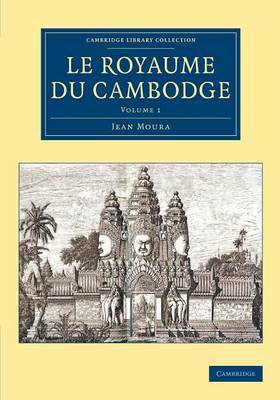 The foreword describes Moura's determined efforts to find out about every aspect of Cambodian history and culture, and explains how on his return to France he prepared this two-volume, illustrated reference work. Published in 1883, it was announced as the first serious study of Cambodia, indispensable to those wishing to seek their fortune in this most beautiful of French colonies. Volume 1 begins by describing Cambodia's geography, geology, natural resources and agriculture. Moura then discusses topics including exports and trade, the layout and architecture of towns, religion, administration and law, language, literature and education, and the customs of Cambodia's different ethnic groups.